It just hit 9:00 p.m. and I am beat. I've been so busy this week with repurposing furniture, going on adventures to find more furniture for y'all and working my full time job besides that. Yawn. I am so looking forward to a girls night I am having Saturday night though :) I need it. I'm not sure about y'all but I have a little wiener dog that I ADORE. We have a very tall bed...so I bought him this little stool and never got around to re-doing it. And still haven't. I found this little gem at Minot's little flea market they have ever so often. And I fell in LURVE. 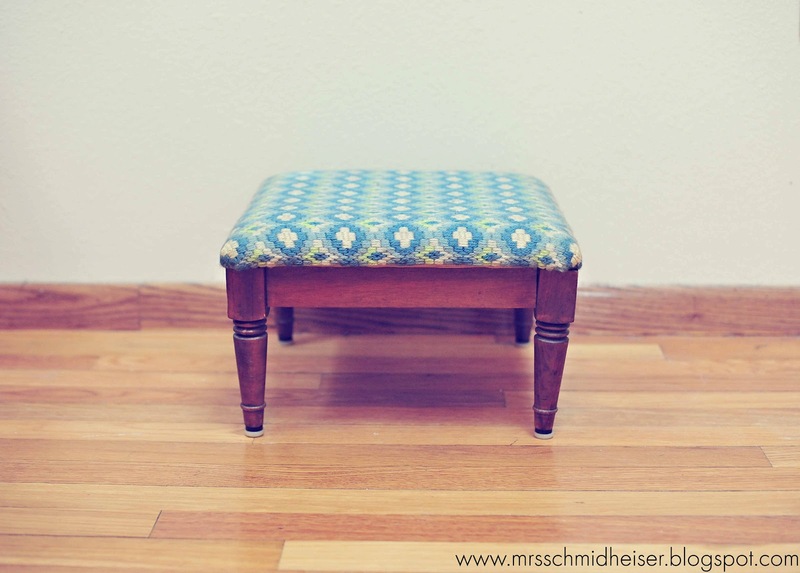 The little, mini legs are to die for and in almost perfect condition so I just shine them up with a bit of wood polish. I know it's hard to believe but I can appreciate a nice wood grain, not just white. My husband is rolling his eyes at me right now. Gotta love them right? Is she not adorable? So cute beside the bed too. And get this...It was built way back when. 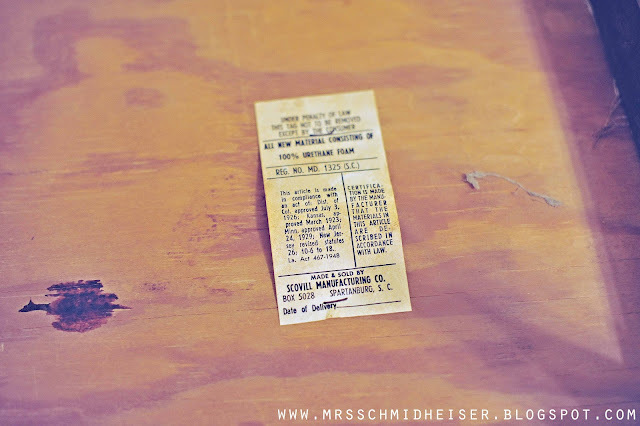 It still has the original tag on the bottom of the stool! Pretty neat huh? All I did was reupholster my seat and give it a good cleaning and it's a brand new piece! 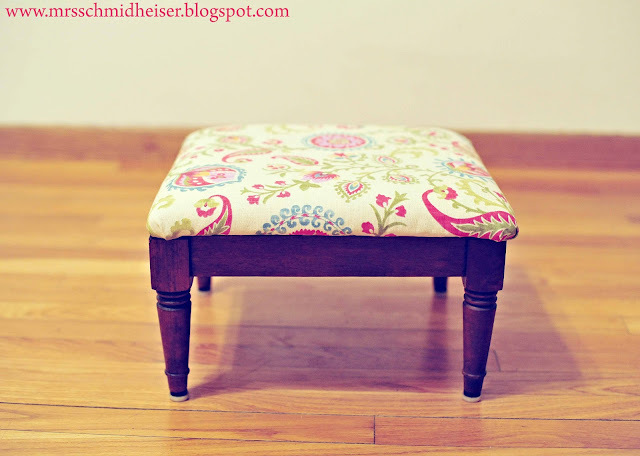 If you want to try your hand at reupholstering, you can find my "how to" here.